End-to-End Revenue Recognition automation software. 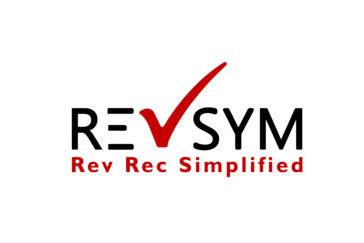 RevSym automates both ASC 605 and ASC 606 guidances set by FASB. "Does the work, without any of the bell and wistles"
It has the functionality to do revrec. It is a copy paste of Revpro product from the revpro product two years ago. Its does not have any bells and wistles that is needed to get timely information. Make the compromise only if cost is a consideration. Also keep in mind that Revsym has been acquires by SAP. It would be easy for a large company to scrap this product. 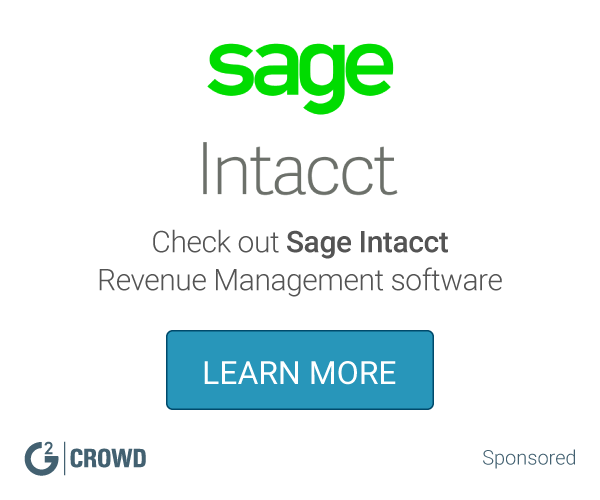 What Revenue Management solution do you use? Apttus Revenue Management allows you to optimize revenue by managing future deal structures, renewals, payment terms, finance structures and contract compliance. Comply with new statutory regulations for revenue recognition, such as IFRS 15, while supporting existing requirements with the SAP Revenue Accounting and Reporting application. Handle orders, invoices, and events from multiple SAP and non-SAP systems, and gain flexibility by decoupling revenue recognition rules from order entry and billing systems. Flintfox develops trade revenue management software and provides ERP consulting and implementation services. Centralize revenue streams in a single revenue recognition solution. Get compliant with the new ASC 606 & IFRS 15 standards. Automate calculations, reduce your period-end close and gain a complete picture of your organization's revenue - both recognized and deferred. ARCS 2G is a comprehensive revenue management system that integrates with professional service billing systems to streamline collection processes, track WIP/AR, and manage unresponsive accounts. Self-managed Software provides you with the latest, most comprehensive, cloud based, revenue management system on the market. As the name suggests, this solution offers cost effective revenue management for those licensees that are comfortable with processing their own commissions and revenue payments. SAP Hybris Revenue Cloud provides a simplified, automated approach to managing your billing and ordering processes from the cloud. Cube RM is a Revenue Management & Optimization software suite including an intuitive CPQ system and integrated pricing guidance. Leveraging sophisticated machine learning models and software automation to help companies efficiently manage sales quotes, create and evaluate tender proposals, and identify optimum pricing. FinPal software is enabling modern financial planning businesses to realise a new potential. Revolutionary business intelligence and management systems enhance team performance, increase client engagement and reduce business risk, resulting in a more profitable business. * We monitor all RevSym reviews to prevent fraudulent reviews and keep review quality high. We do not post reviews by company employees or direct competitors. Validated reviews require the user to submit a screenshot of the product containing their user ID, in order to verify a user is an actual user of the product. Hi there! Are you looking to implement a solution like RevSym?